Studies have shown it takes only 21 days for a new habit to take root. If there's a skill you've always wanted to take advantage of, the answer is only 21 days away with Hay House's 21 Days Series. Judy Hall is recognised worldwide as an expert on crystals. Her bestselling book The Crystal Bible has become the definitive book on the subject. 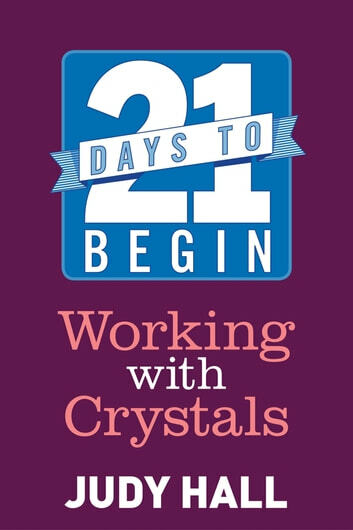 Here, she provides a powerful distillation of her wisdom into a short, practical programme that anyone can use to discover the remarkable powers of crystals. You'll look at specific crystals, some old some new, basic and advanced, earthy and of high vibration, so that no matter whether you're a complete beginner or an experienced crystal worker, you'll find something here to inspire and excite you. This book also looks at a huge variety of uses for crystals including chakra clearing, avoiding pollutants in your home and in the wider environment and for meditation. You'll also see why crystals are essential for energy-boosting, opening higher consciousness and for creating new patterns. Each day, you'll discover a different aspect of crystals, so you build skills that you can use across a variety of applications. Every day includes a practical activity to expand your sensitivity to crystal energy and help you explore its potential. 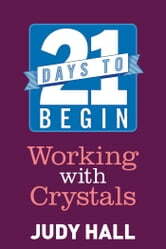 In 21 days you will have tasted a wide spectrum of crystal possibilities.